The paint scraped off the crest of the quetzalcoatlus but that's about it. I know I kept all the guns and figures somewhere but unfortunately I just can't find them right now. I never cared for them as a kid (just wanted the dinos) and now I wish I didn't just stash them away somewhere, ah well. Also missing are my triceratops and dimetrodon. Haven't really decided what to do with them yet but I really like the kentrosaurus, and it's still probably the best toy version of it today. Consider this my post as a 'hello' the group. I dug out a bunch of dino riders from my childhood, which led to me buying a lot from a craigslist post, which has now led to me following ebay closely for more lots. Coolest toyline I've ever seen and timeless as they display so very well loose. Placerias: less common, seen them get $25 buy it now prices on ebay. Kentrosaurus: Just the dinosaur will get anywhere from $10-$25. 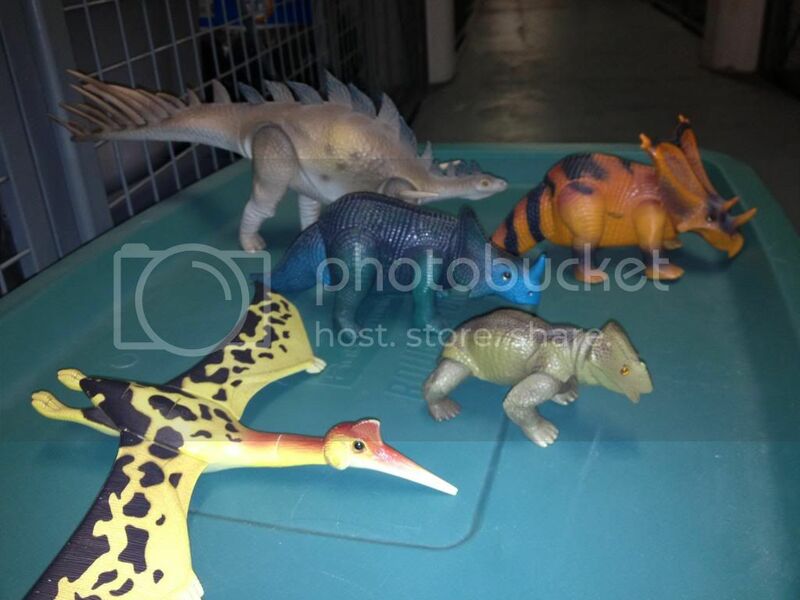 Fully equipped can get $50-$150, one of the more in demand dinos from series 2. Chasmosaurus recently sales are $150-$200 for the dino alone. The third series bird typically sells for the same as chasmo but imo it doesn't come as often. So could get more. I think it's worth is more as compare to other plastic toy's, that's why no one can interested to buy it. Your best option in pricing anything is to go to ebay ans search under " sold listings " . That will tell you what a previous piece listed sold for.